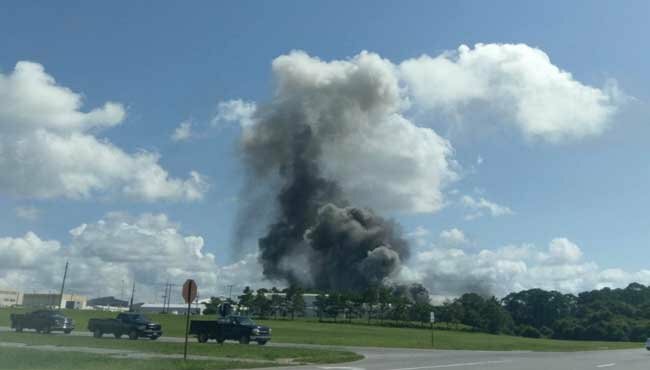 Officials at Eglin Air Force Base in Florida says shortly before 10 a.m., Wednesday, July 5, an explosion occurred at McKinley Climatic Lab." I don't know if this area was flooded or not. "KENNER, La. -- An oil rig exploded Sunday night in Lake Pontchartrain in St. Charles Parish, a Louisiana police department said. Kenner Police Department spokesman Sgt. Brian McGregor said Sunday evening that rescue boats are being sent from the Kenner Boat Launch, and that officials with the Jefferson Parish Sheriff's Office are assisting, The Times-Picayune reported. Initial reports said six people were injured and one person was missing. No additional details on the status of the injured have been given. No deaths have been reported. CBS affiliate WWL-TV reports that the Coast Guard New Orleans Division has a small boat and helicopter responding to the scene. The station writes that one person is unaccounted for. WWL-TV says five people were taken to the University Medical Center and two people were taken to the East Jefferson General Hospital. "We believe there is still one unaccounted for," Jefferson Parish Sheriff Joe Lopinto said. "We are treating it as a search and rescue." "(CRESSON, Texas) — Hazardous materials crews have resumed the search for a worker who is missing and presumed dead following an explosion at a Texas chemical plant that injured two co-workers. Texas Department of Public Safety Staff Sgt. Earl Gillum says recovery crews are using heavy equipment Friday to clear burned debris at the Tri-Chem Industries plant in Cresson, 50 miles (80 kilometers) southwest of Dallas. Investigators believe a worker dragging his foot along the floor while chemicals were being mixed sparked Thursday’s explosion. That worker is hospitalized with critical burns. Another worker was treated for less severe injuries." "One woman was killed and one man critically injured when a house in East Cleveland, Ohio, exploded Sunday, according to officials. Investigators were still working to determine what caused the early afternoon explosion, East Cleveland deputy fire chief Robert Benjamin told reporters. Local news outlets reported the area smelled of natural gas. The injured person, a 51-year-old man, suffered multiple burn injuries and was transported to a hospital, according to Benjamin. Officials have not yet released the victims’ identities. Multiple neighboring houses sustained “heavy damage,” including broken windows and structural damage, authorities said. At least five neighboring houses have been evacuated as officials continue to investigate the incident." "SUN PRAIRIE, Wis. - Officials are continuing to increase the radius around the site of an explosion in downtown Sun Prairie, according to officials with the police department. 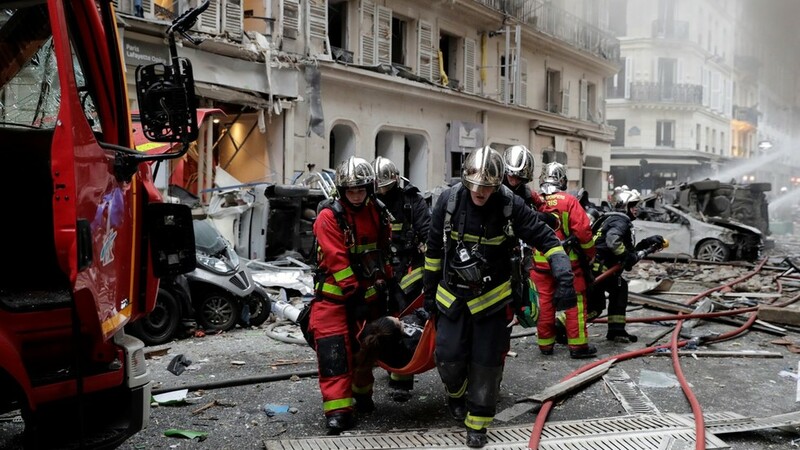 After the explosion leveled several buildings and sent two firefighters and a police officer to the hospital Tuesday, officials are saying all of the gas leaks are now contained. The explosion is at the intersection of Main and Bristol streets. Evacuations are underway at this time within a half-mile radius, and police are asking people to avoid the area "because it is not safe." "SAN PEDRO (CBSLA) – A bomb squad was investigating an explosion Tuesday in a shipping container at the Port of Los Angeles. No injuries were reported as a result of the blast, which was reported just before 6 p.m. in the 100 block of South Ferry Street, according to Amy Bastman of the Los Angeles Fire Department." A shipping container full of scrap metal due for export exploded. Strange. "An explosion started a fire at a natural gas processing plant about 40 kilometres south of Pittsburgh on Thursday, reports said. The facility run by MarkWest Energy Partners experienced a blast that had dispatchers sending first responders to the scene in Houston, Penn. at just after 6 p.m. ET, KDKA-TV reported. The incident unfolded close to two temporary tanks that were located on site for routine maintenance, according to a statement from Marathon Petroleum Corp. This resulted in a fire, the statement said." 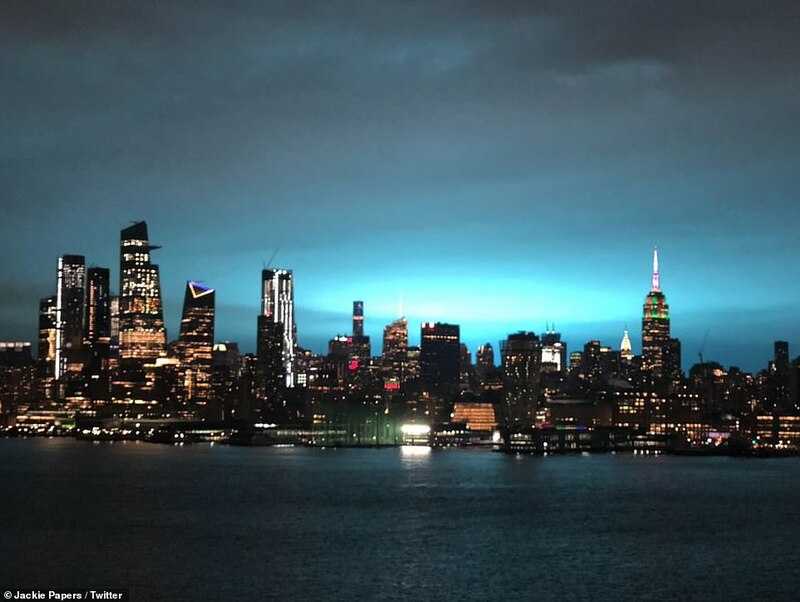 The NYPD jokingly confirmed that aliens had not invaded, while others shared memes from sci-fi movies"